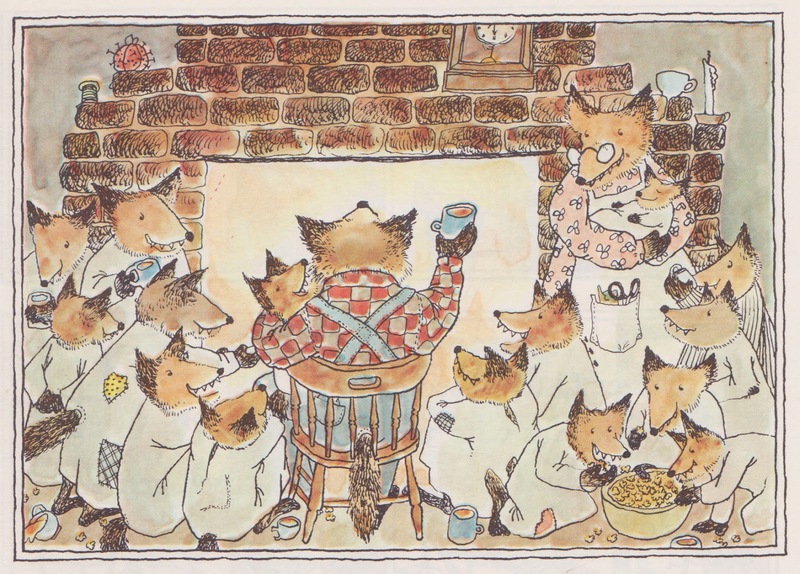 The beloved nursery rhyme classic written and illustrated by two sisters from Vermont about the stories a father fox tells his brood of 15 kits. 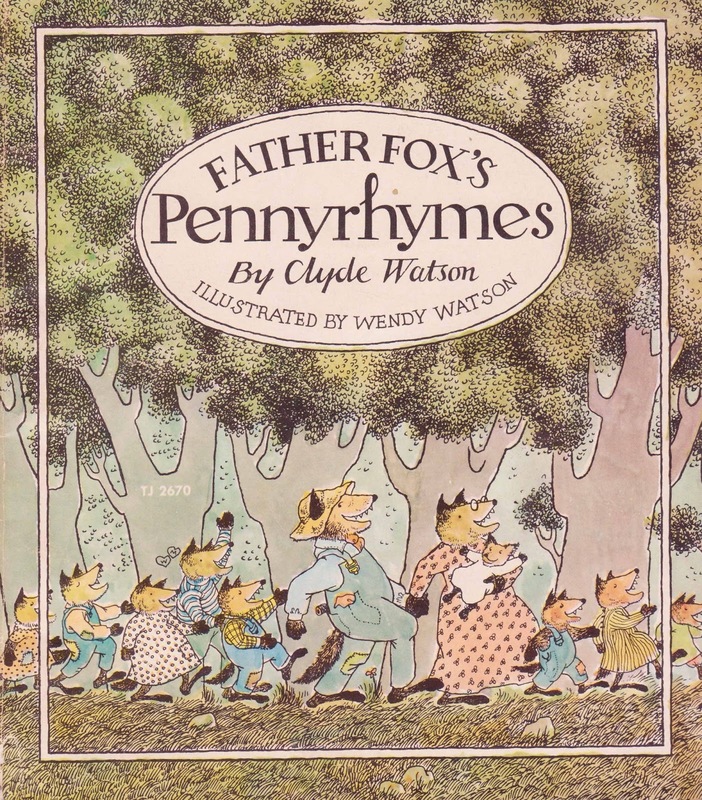 We've always loved this book in our house because of how each rhyme is accompanied by an illustration that fully and precisely tells the tale, often starring one or many of the fox children. 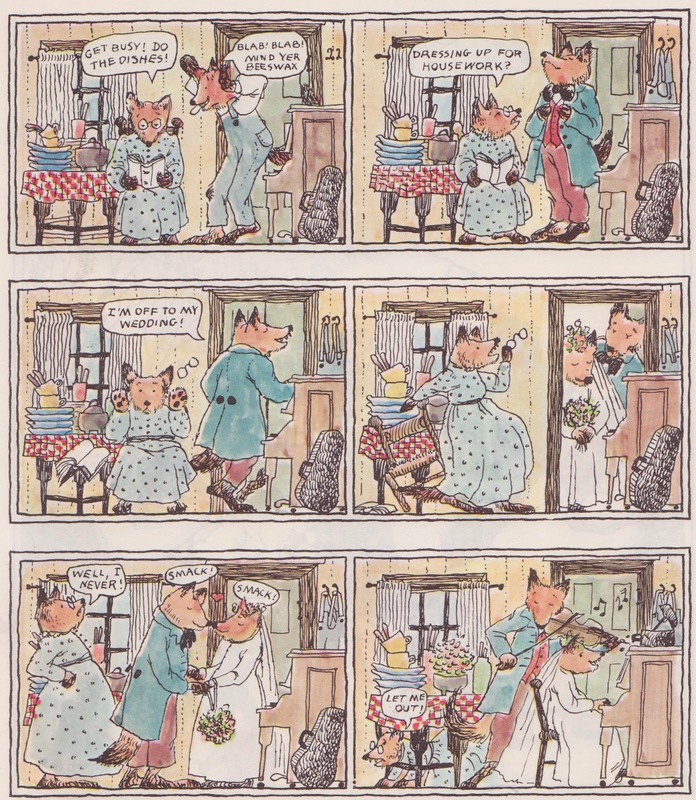 A small and busy feast for the eyes. How many times is that, dear sister. 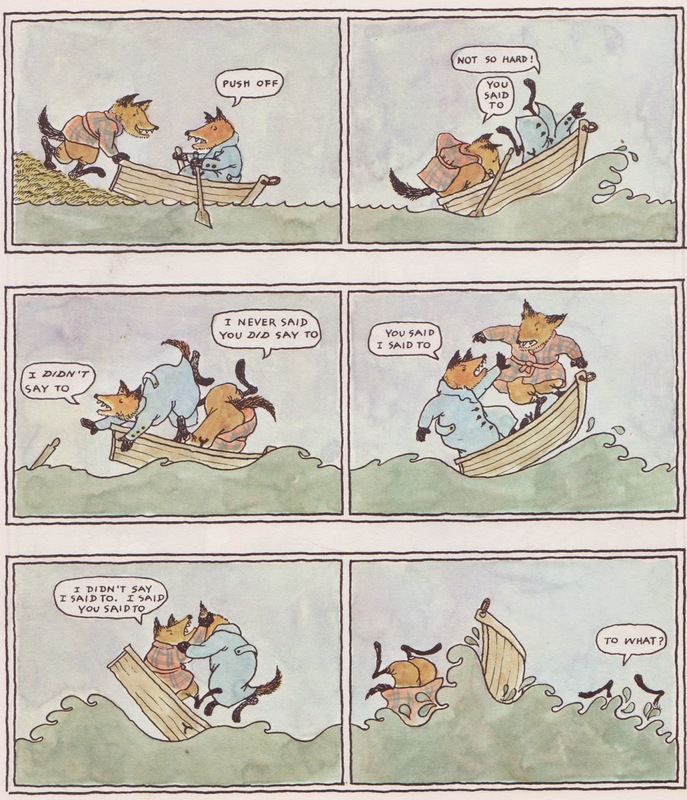 And the boat tipped over & they tumbled out. Gallop, oh Gallop, oh gallop again! I've seventeen children and none can I spare. Upside down & away he goes! In blue & crimson velveteen. Oh how I loved this book! My mother's best friend was a librarian and this is one of the books that she sent me for Christmas one year. Fond memories! I just found a copy at a local thrift store and knew I must purchase it, thanks to your review! 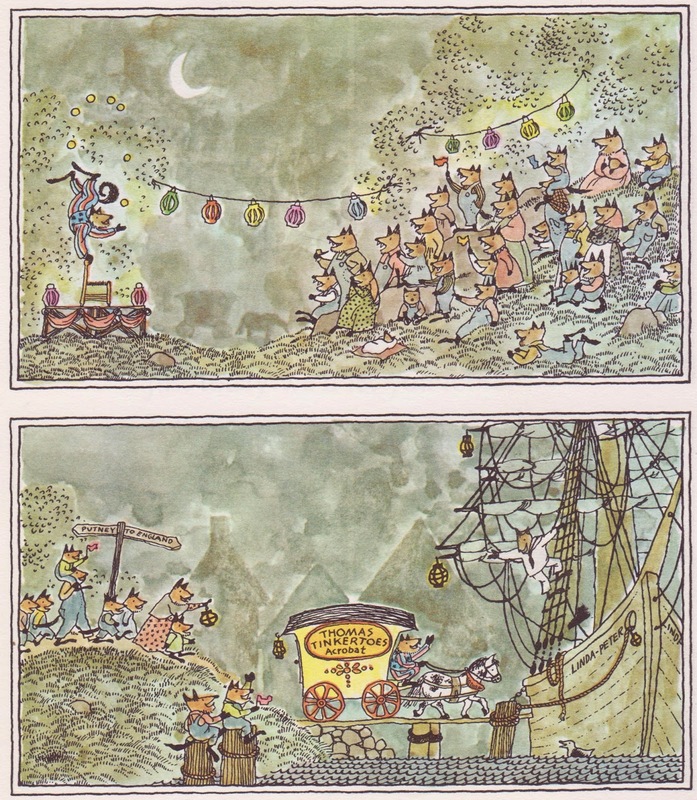 I found this at Goodwill for a quarter, and it is my very favorite children's book ever. Hi All! I am Clyde Watson, the author of this book. How I love reading your comments. I have brand new copies of this book and other out-of-print titles for sale if anyone is interested! 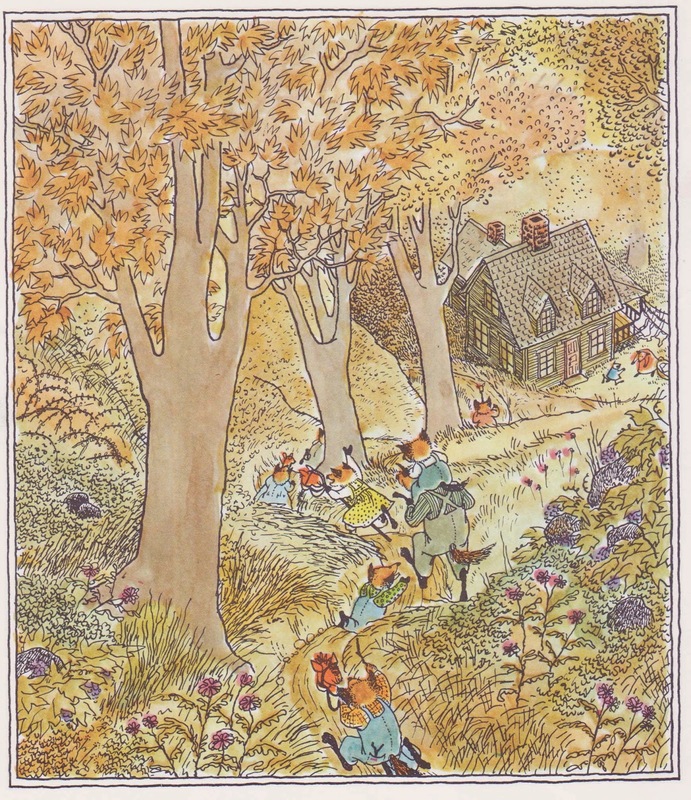 This was one of our family's favorite books. Both my sons loved it. I can't find it and would love one for my granddaughter! Please tell me how to order.